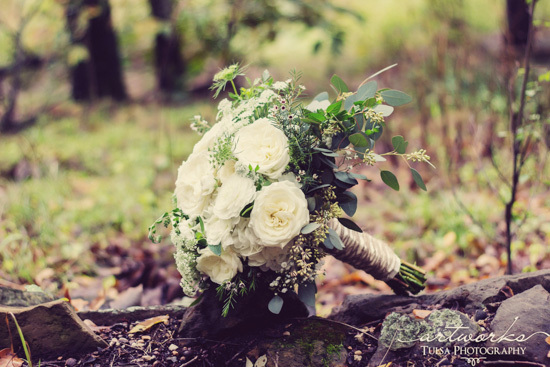 The romance began when Cady and Matt met at their friend’s summer lake house the summer after her freshman year of college. 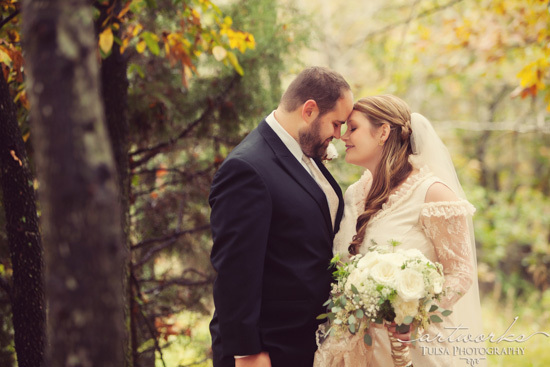 Cady fell in love with Matt’s dedication to always doing the right thing. The proposal took place when Matt visited Cady while she was at school in Savannah for her birthday. Matt surprised her with dinner reservations at the nicest restaurant in town, Elizabeth on 37th. However, dinner wasn’t her only surprise that evening. The next surprise came in the shape of a ring! Matt recorded the proposal on a spy pen so that they could later show their friends and family. How cute! Cady’s dress was gorgeous and was designed and hand made by her grandmother. It fit her style and personality perfectly and enhanced her confidence and she radiated beauty! 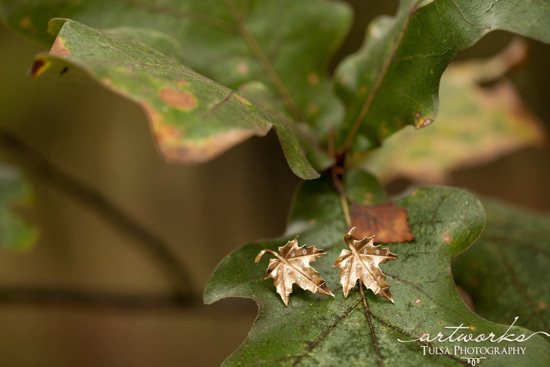 Cady added a personal touch to her wedding by borrowing her grandmother’s jewelry. 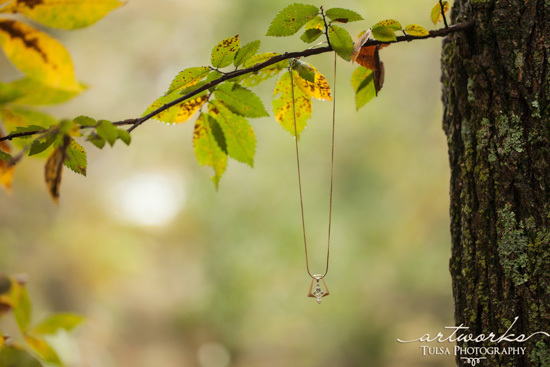 Her grandmother’s necklace had the diamonds put in while she was on her honeymoon and the earrings she wore once belonged to her grandmother’s best friend. 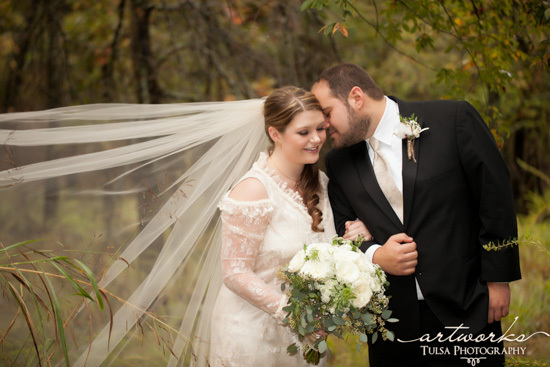 Cady and Matt were determined to have their wedding on the field at The Canebrake come rain or shine. In the end the weather didn’t seem to want to cooperate but it just added to the overall fun of the wedding. We even bought rain boots for the occasion. The reception was nearby at her parent’s lake house. 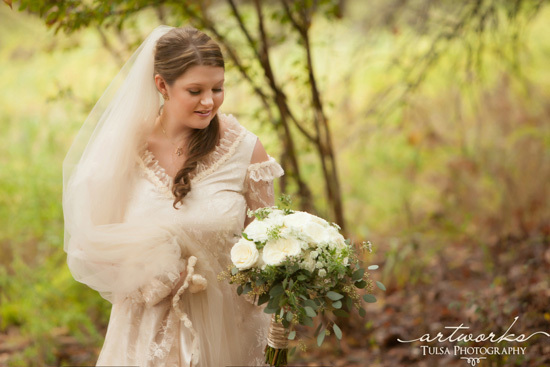 Wedding planner Sharon Holm with Tulsa Weddings & Design was a huge asset and helped Cady in hiring all the vendors used. 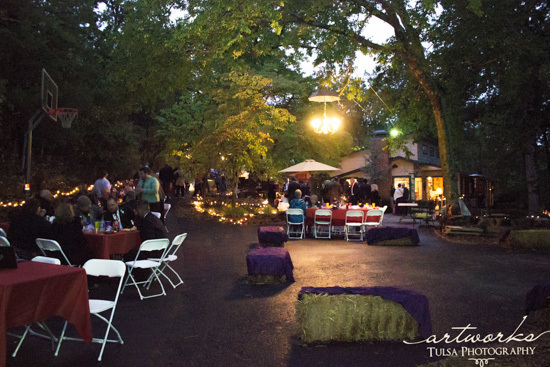 Tables and Linens were provided by Party Pro Rents. 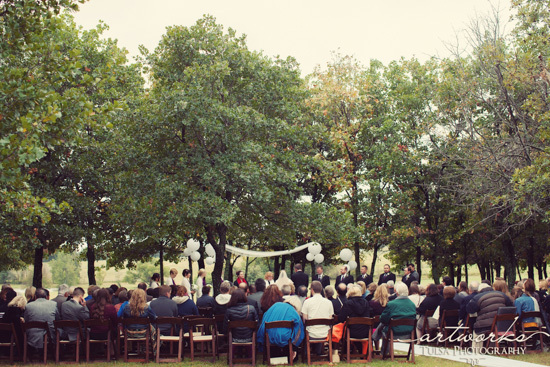 Because of the drizzle, there was concern for the chandeliers that were hung throughout the outdoor reception area. 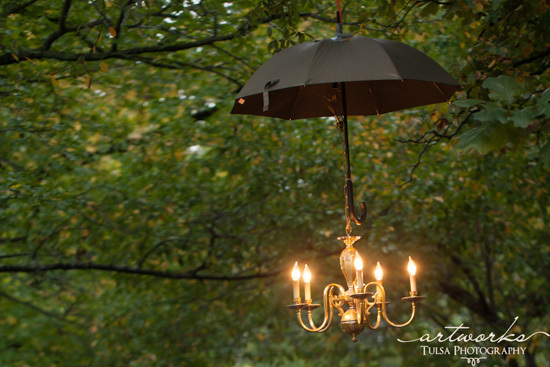 Thanks to Matt’s quick thinking, they came up with a quirky solution of engineering an umbrella onto the chandelier and it just seemed to add a little something extra to the overall atmosphere. 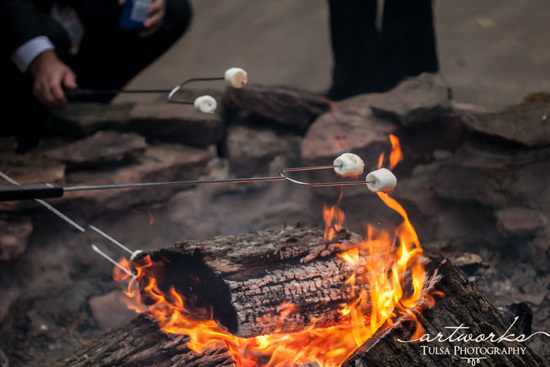 The cool weather was perfect for a bonfire and everyone enjoyed roasting marshmallows and making s’mores. We wish you all the happiness in the world and hope that together, you continue to enjoy every moment in life!